Two Temple Place is one of London’s hidden architectural gems. As one of the world’s wealthiest men Astor ensured that no expense was spared in the mansion’s construction and that it reflected his life and personal interests. The result is a building every bit as eccentric as it is opulent. And it’s only been open to the public since 2011. 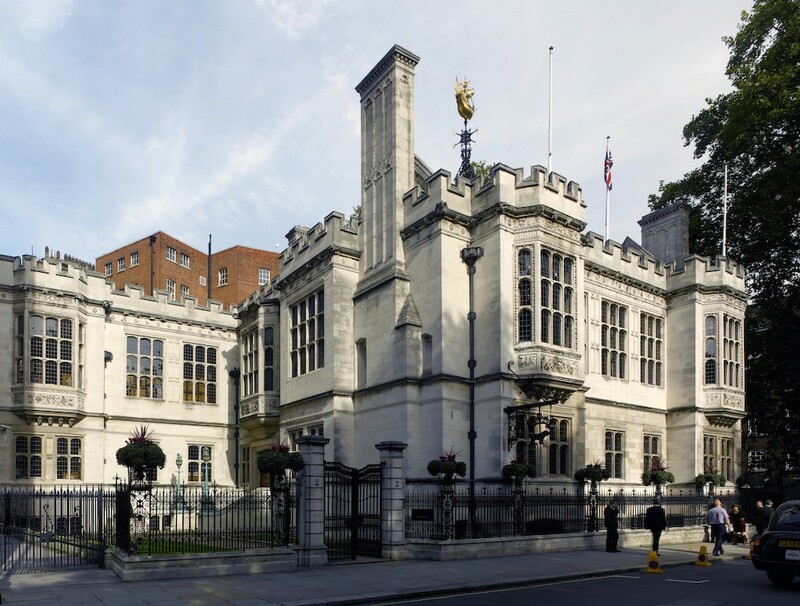 Two Temple Place (WC2R 3BD) stands on a quiet side street on Victoria Embankment not far from the bustling Strand. Map. BORN INTO A prominent American family, William Waldorf Astor (1848–1919) was an only child. After being privately tutored in Europe he returned home to New York to practise law then turned his hand to politics. His wealthy background and his failure to enter Congress, however, made him a target for the press. As a result he spent the early 1880s in Rome, where he developed a lifelong interest in art. Following his return to New York, Astor inherited his father’s vast fortune and in 1890 built the Waldorf Hotel (his cousin John Jacob Astor IV built the adjoining Astoria Hotel in 1897). Around the same time a family feud prompted him to relocate his family to England, where in 1892 he purchased the Pall Mall Gazette and the Cliveden estate in Buckinghamshire. It was to manage these new business ventures that he commissioned Two Temple Place. Completed in 1895 to a design by the Gothic Revival architect John Loughborough Pearson (1817–1897), the exterior of Two Temple Place is rendered entirely in Portland stone. High above the machicolated parapet is a copper weather vane representing the caravel in which Columbus sailed to America. It symbolises the path taken in 1784 by Astor’s German ancestor, John Jacob Astor – and Astor’s own journey in the opposite direction. 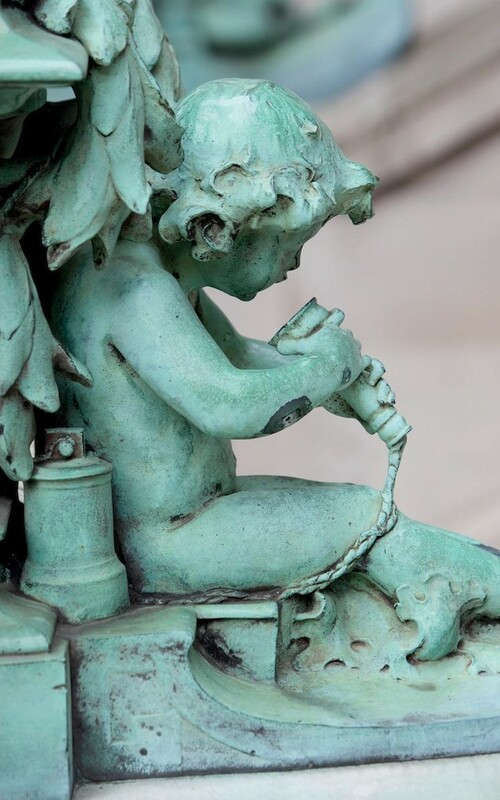 The bronze lamp standards flanking the main entrance demonstrate Astor’s modernity by incorporating cherubs using a telephone and an electric light! Crossing the threshold an imposing vestibule gives onto the richly-decorated Staircase Hall. Panelled in oak it features a Pavonazetto marble fireplace and a floor inlaid with chalcedony, jasper, porphyry and onyx. 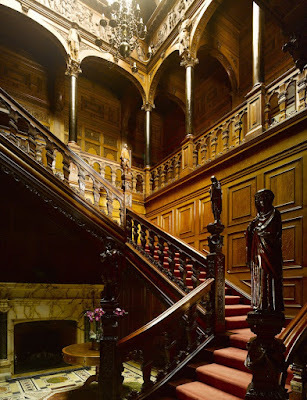 That Astor was a fan of historical fiction is clear from the mahogany staircase, the newel posts of which support characters from his favourite novel The Three Musketeers. On the first floor is a gallery with ten columns of ebony topped off with more sculptures. Inspired this time by American literature they feature characters from The Last of the Mohicans and Rip Van Winkle. 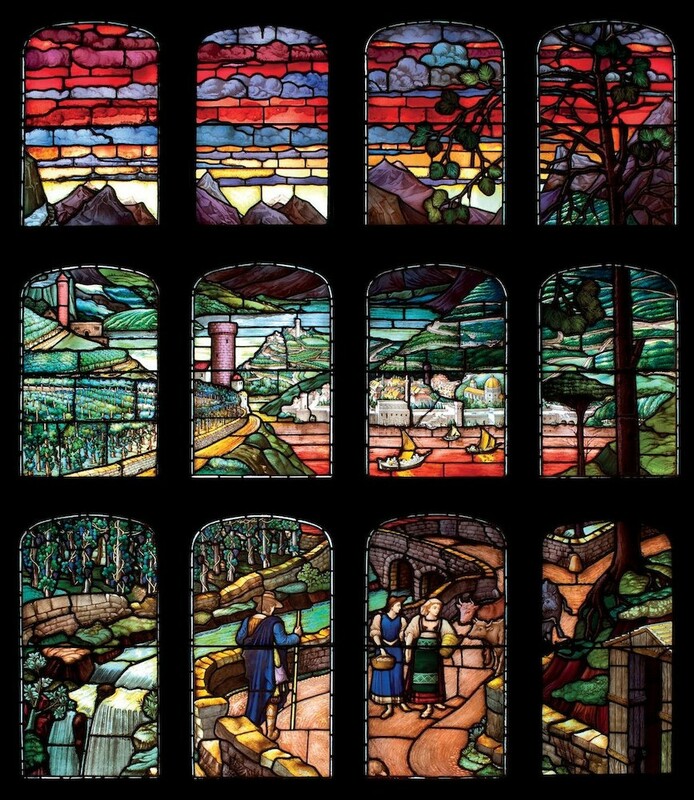 Above these runs a frieze depicting 82 characters from the plays of Shakespeare, the whole being lit by a glorious stained-glass cupola. Leading off the first floor gallery is the Great Hall, which extends the full length of the building’s riverside frontage. 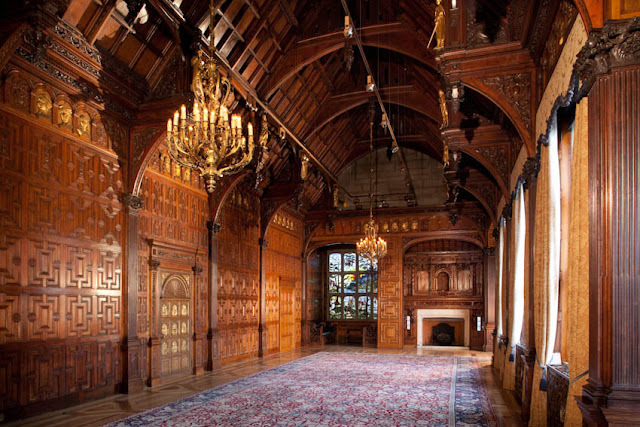 This is where Astor worked and it is surely the most extraordinary office in England. Entered through a door decorated with heroines from Arthurian legend, it features stained-glass windows at either end representing Swiss landscapes at sunrise and sunset. Overhead is a hammer-beam roof made of Spanish mahogany. 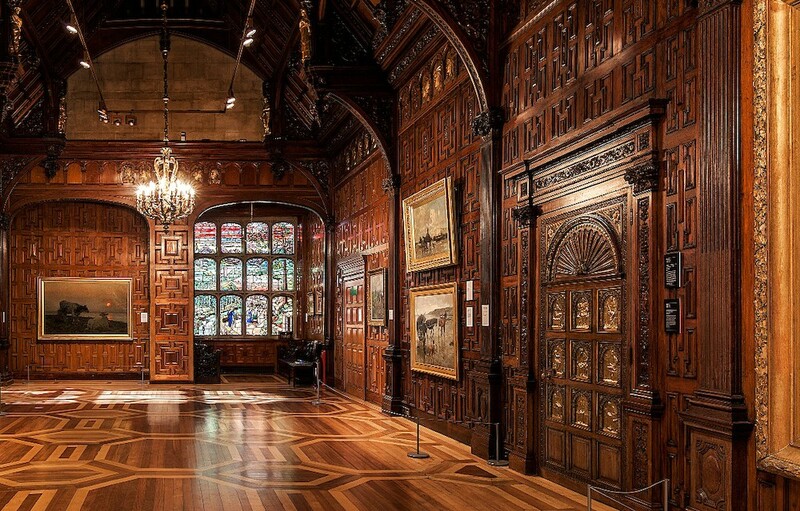 The cedar-lined walls are surmounted by a frieze in which a further 54 characters from history have been carved in relief and then gilded, with a dozen freestanding figures above. How curious it is to see Bismarck and Martin Luther mingling with Robin Hood and Maid Marion! Known originally as the Astor Estate Office, Two Temple Place is now owned by the Bulldog Trust, a philanthropic organisation providing support and advice to various charities. It also offers educational facilities in tandem with its unique annual exhibitions of publicly art from collections outside London. Staged between January and April these provide an ideal opportunity to visit this unique building. Circle or District Tube line to Temple. Two Temple Place is open during exhibitions between January and April and at other times by appointment only www.twotempleplace.org. Duncan J. D. Smith is a self-styled urban explorer, travel writer, historian and photographer. Born in Sheffield in the north of England he is currently based in Vienna, Austria. Duncan is the sole author and publisher of the ‘Only In’ Guides, a series of guidebooks revealing European cities from unusual perspectives. 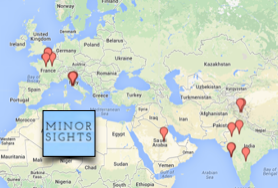 Published volumes include Berlin, Budapest, Cologne, Hamburg, Munich, Paris, Prague, Vienna, and Zurich. The article above is extracted from Duncan’s latest book “Only in London”. For more information visit www.onlyinguides.com and www.duncanjdsmith.com.